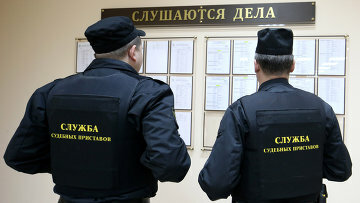 Russian prosecutors found negligence in Federal Bailiffs Service’s bodies | Russian Legal Information Agency (RAPSI). MOSCOW, May 25 (RAPSI) – The Russian Prosecutor General’s Office has revealed negligence in actions of the Federal Bailiffs Service’s regional departments related to the execution of court rulings in favor of businesses, the official website of Russia’s commissioner for rights of entrepreneurs Boris Titov reads. On Friday, the deputy Prosecutor General Viktor Grin provided Titov with a report on a comprehensive review of the Bailiff Service’s work in in 2017. According to the document, regional departments of the Service don’t always comply with the court rulings establishing violation of rights of entrepreneurs in a correct or timely manner. In several regions, including the Sakha Republic, Khakassia, Krasnodar Krai, Voronezh, Ryazan and Sakhalin regions, there were revealed instances of unlawful termination of enforcement proceedings under the guise they were completed.